Billionaire investor Haim Saban is in talks to buy Muppet-maker Jim Henson (news) Co., at a steep discount to what Germany's EM.TV & Merchandising AG paid for it, people close to the situation said on Tuesday. The two sides are still haggling over the price, but it is broadly in the vicinity of about $100 million, these people added. EM.TV paid $680 million for Henson in February 2000. There may be other suitors for the makers of Miss Piggy and the Cookie Monster, the sources said, but the EM.TV unit has been on the block for more than a year. Spokespeople for Munich-based EM.TV and Saban declined to comment. Saban, who made his fortune with children's figures the Mighty Morphin Power Rangers, has savvy bargaining power on his side. Nancy Schultz, who served as Henson's chief financial officer for a short time, and who also advised Henson when she was with PricewaterhouseCoopers, now works for Saban Capital Group Inc.
Jim Henson produces movies, such as "Muppets in Space," and its world-famous creature shop makes well-known puppets and creates special effects. It won an Oscar for the special effects in the film "Babe." EM.TV, which has been trying to raise money by unloading non-core assets, last year sold Henson's stake in Crown Media Holdings for about $100 million. Sesame Workshop also bought the Sesame Street Muppets characters from Henson last year. Saban, who is also bidding for insolvent German media group KirchMedia, made about $1.5 billion last year when he and partner News Corp. sold cable network Fox Family Worldwide to Disney for $3 billion. 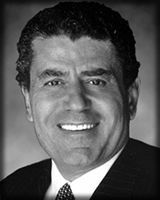 Haim Saban is Chairman and CEO of Saban Capital Group, a private and public equity investment company. He is founder of Saban Entertainment and Fox Family Worldwide (now ABC Family). Mr. Saban previously owned the rights to the Power Rangers TV show and merchandise. Those assets were later sold to Walt Disney as part of its $5.2 billion acquisition of the Fox Family network. Mr. Saban is a recognized leader in the entertainment industry having also built a chain of recording studios and becoming the top supplier of music for television. Mr. Saban was born in Alexandria, Egypt and moved to Israel as a child. He is a financial donor and founder of the Saban Institute for the Study of the American Political System at the University of Tel Aviv. He has contributed to many educational organizations, including The Fulfillment Fund and Partners in Education, which are college and career counseling and mentoring initiatives. He is also a supporter of The Story Project, an after school literacy program in downtown Los Angeles. He is a board member of the National Committee to Prevent Child Abuse, the National Campaign Against Youth Violence, and the Woodrow Wilson International Center for Scholars.